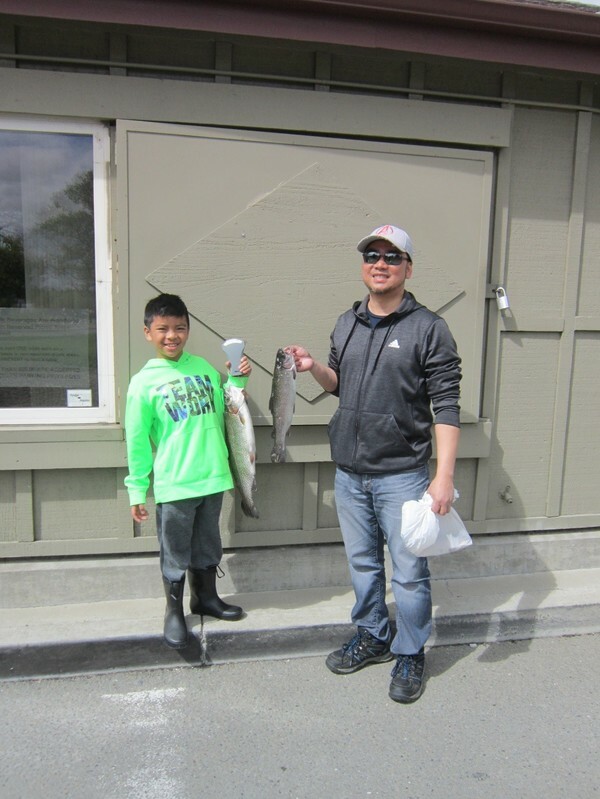 On March 22nd Fred Omai of San Mateo and Shin Kato of Fremont EACH caught their limit of trout using lures! 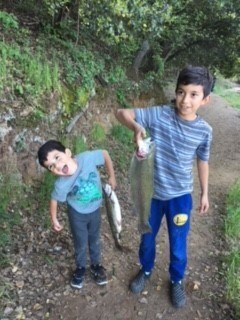 They were fishing along Fishermen's Row. 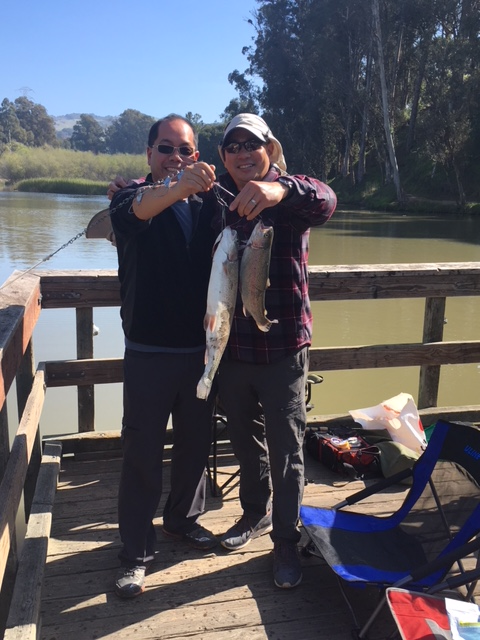 On March 23rd Rick Sandoval of San Mateo caught a six-and-a-half pound rainbow trout using yellow Powerbait! He was also fishing along Fishermen's Row.